A Loving Family Awaits Her! Two years ago, a precious baby girl was born halfway around the world. She was abandoned most likely due to her diagnosis of Down syndrome and a heart defect. She was taken to an orphanage where she spent several months, however, she was too sick to grow and develop. She was pronounced as "failure to thrive" and sent to a healing home where she received a life saving surgery which allowed her to finally tolerate food. She began to grow and thrive, and a file was prepared for her to be adopted. 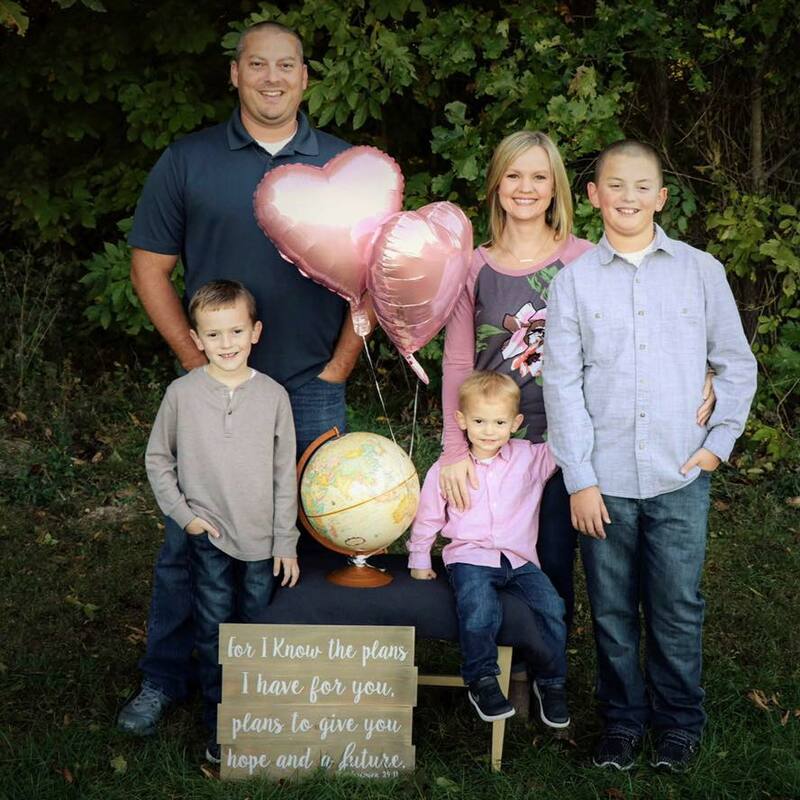 Drew and Jenna Schneider began their search for adoption after a miscarriage in 2014, in case they were unable to conceive again. They began researching adoption and were heartbroken by the amount of children living in orphanages. Once they saw a picture of Meilyn, they knew she was a perfect fit to their family. In November 2018 they received approval from China to begin the adoption process. The adoption fees are overwhelming. 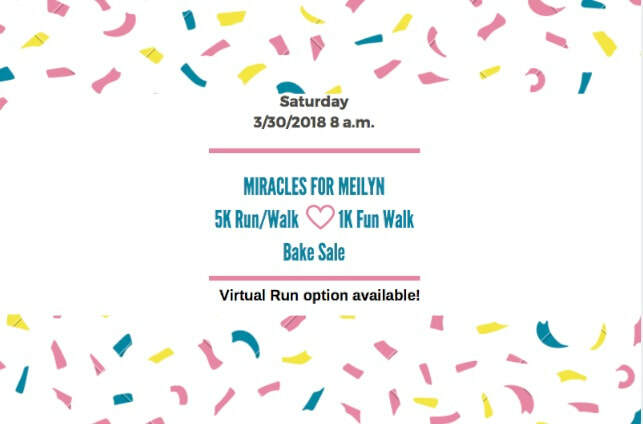 Funds are needed for Meilyn’s medical needs and to be brought home. Start time: 5K begins at 8am. Fun Walk departs after. The RODS (Racing for Orphans with Down Syndrome) organization will ​be matching all funds raised! RODS is matching all event funds raised! Click button to send an email to Jean Hentis who is coordinating the Bake Sale. I can help along the race route or be a sponsor! Click button to send an email to Design Fitness. Include your contact information and Design Fitness will get in touch! ​Note: Sponsorship levels are $50, $100, and $150. If you or your business is interested, more information will be provided. 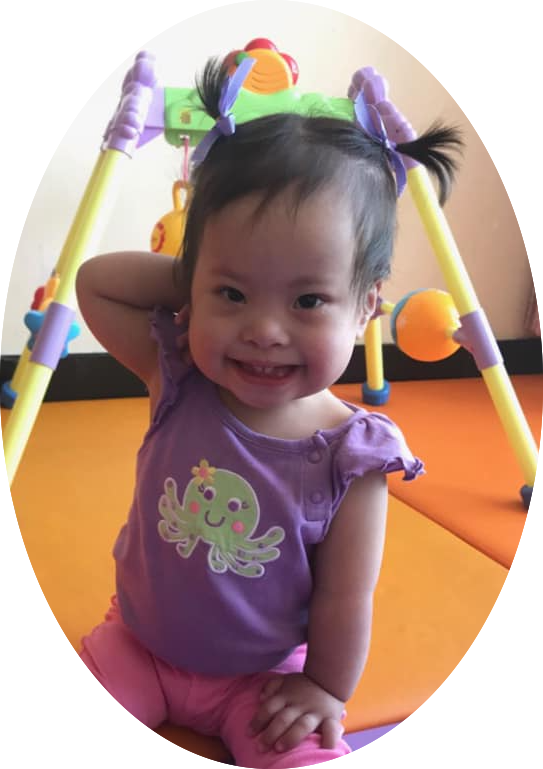 The Schneider's have a fundraising page hosted by Reece's Rainbow-An organization that advocates and find families for orphans with Down syndrome and other special needs.